Leads and campaign members are disconnected from accounts, which means your sales reps often lack the context they need to work on deals. Instead of spending time selling, they have to do detective work to put all the information together. And, with CRM assignment rules, routing leads can be slow and inaccurate. Research suggests as many as 1 in 4 leads get assigned to the wrong rep. How do you ensure the right lead gets to the right person, so your team can nurture and close the deal? Avoid calling into same prospects, which results in a poor customer experience. Spend more time engaging prospects and less time on account research. 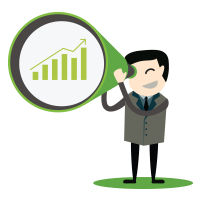 Easily identify customer upsell opportunities to increase revenue from existing accounts. Reduce lead response times and prevent leads from slipping through the cracks. 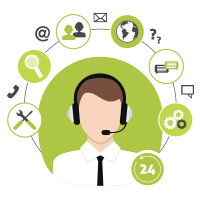 Trust DemandGen to help you get the most value from your lead-to-account matching and lead routing solutions.